For a creative team building treat, or to commemorate a special occasion, discover how to make strings of beautiful bunting together. 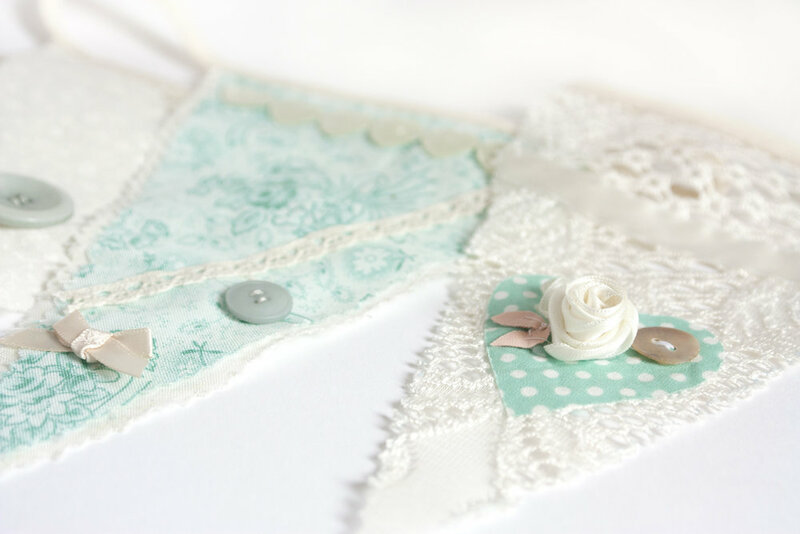 Design & make bunting perfect for any celebratory event. Planning a birthday, anniversary, team building, Summer party or other event? Whatever the occasion, any and every celebration calls for bunting! Collaborate as a group on a beautiful string of bunting made from a selection of pretty fabrics tailored to your requests, colour scheme, theme or event brief. Make your office space or party venue stand out with a stylish string of decorative bunting, personalised to commemorate the occasion. In the run up to the session we'll work with you to decide on the perfect colour scheme, fabrics, trims, and a delightful haberdashery to co-ordinate with your theme. On the day we will show you a number of creative and decorative techniques to make personal pennants (bunting triangles), you can write messages, spell out words or embellish and personalise each pennant. During the workshop, work together to assemble into a string or strings of finished bunting. If you have a particular amount of bunting you would like to make (to fill a particular space), let us know so we can get plenty of materials for you all. This workshop is also available as a vintage option with a selection of co-ordinating vintage fabrics, lace and buttons. Group Size: Min charge for less than 10, no maximum. For smaller groups try our party kits. Bespoke to your groups requirements, with specially selected fabrics, lace, ribbons, buttons to match your themes. Send us some inspiring pictures, and we can use these as the basis to source your materials. Vintage option available, with authentic vintage fabrics and lace, perfect for any vintage loving individual. No limit to how much bunting you can make! We also offer a baby bunting workshop too, perfect for a Baby Shower. Or we can tailor the session to any other occasion!